The story of Angelus began in 1891 when brothers Albert and Gustav Stolz founded the Angelus watchmaking manufacture in Le Locle, Switzerland. The company became renowned for developing and manufacturing pioneering movements and timepieces, both for itself and for other brands. 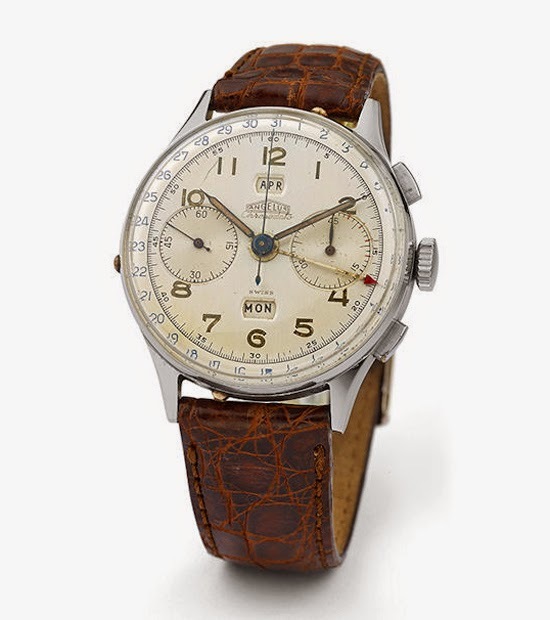 The Chronodato, launched in 1942, was the world's first series chronograph with calendar. Along with many other prestigious brands, Angelus suffered the arrival of quartz watches and the company ceased operations in the late 1970s. In 2011 Manufacture La Joux-Perret brought back to life the Angelus brand and started the development of a new generation of timepieces. Just few days before Baselworld 2015, the new Angelus’ manufacture, based in La Chaux-de-Fonds, is finally ready to launch the U10 Tourbillon Lumière, a pretty unconventional timepiece featuring hours, minutes, dead beat seconds and a one-minute flying tourbillon, plus a 90-hour linear power reserve indicator on the case profile. 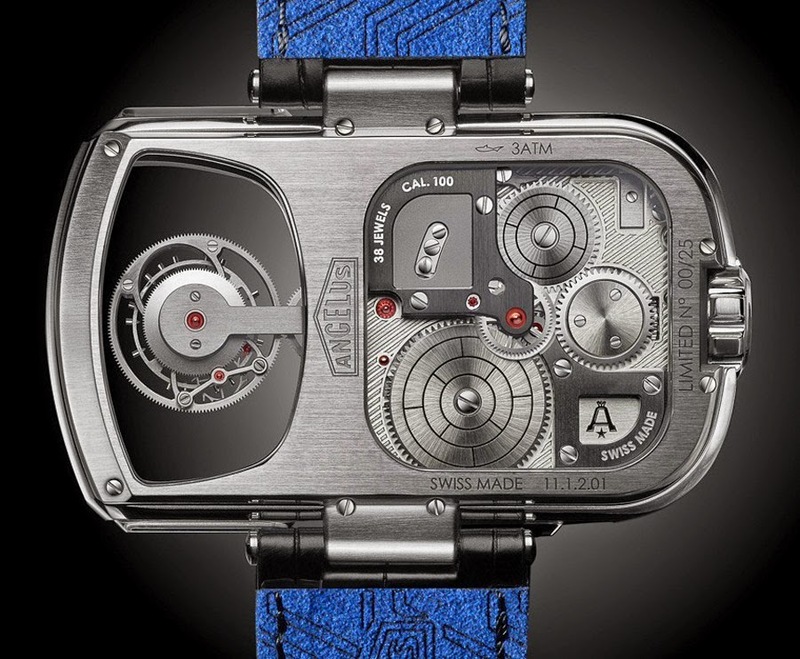 The imposing sculpted case (62.75 mm x 38 mm x 15 mm) is made of a special annealed steel and features seven sapphire crystals with the tourbillon in full display. The BO-98 steel is considered of a higher quality than the usual 316L steel found in most high-end timepieces because it contains fewer impurities, is less liable to corrode and is more biocompatible. The crown is purposefully oversized for ergonomic winding and it is inset neatly into the case to better harmonise with the case’s contours. 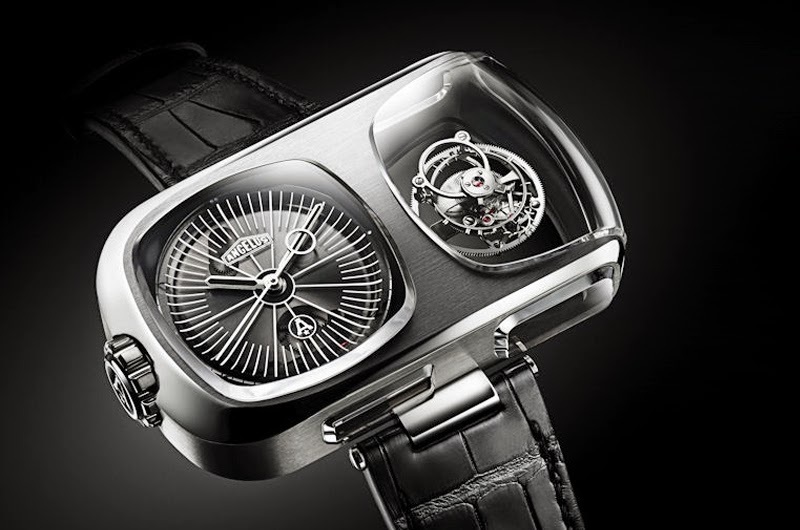 On one hand, the U10 Tourbillon Lumière is a traditional haute horlogerie timepiece with its dead beat seconds complication (where the second hand advances in full steps of one second) deriving from 18th-century pocket watches; the movement bridges and plates in traditional nickel-silver that is bevelled and polished; and the traditional 2.5Hz (18,000 vph) frequency of the screwed balance with Breguet-overcoil, inspired to some of Angelus’ early pocket watches. 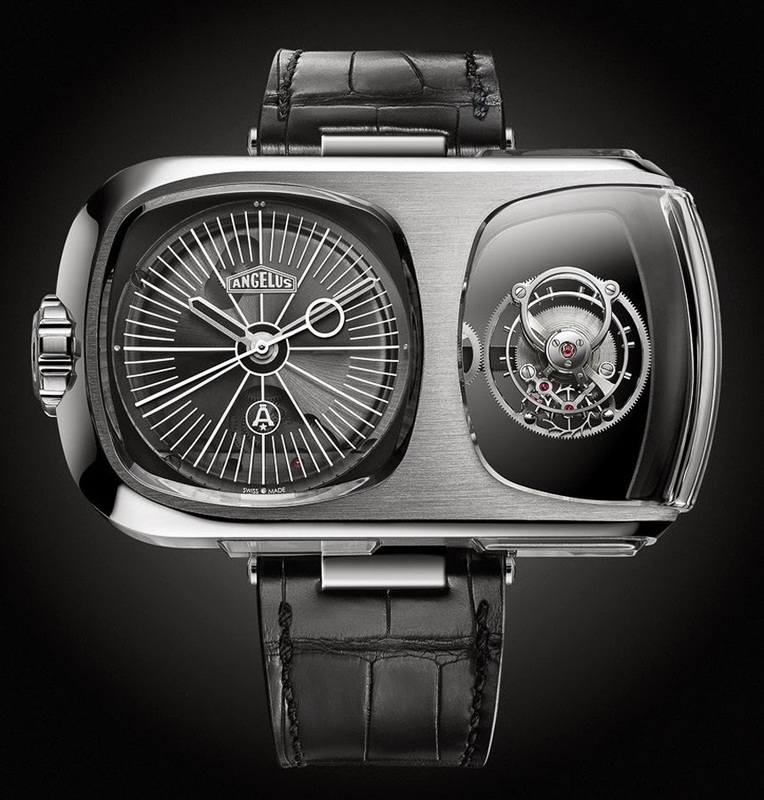 On the other hand, the watch is definitely avant-garde, with its duplex case and the tourbillon positioned far outside of the movement, displayed alone as a mechanical sculpture in its own sapphire crystal vitrine. 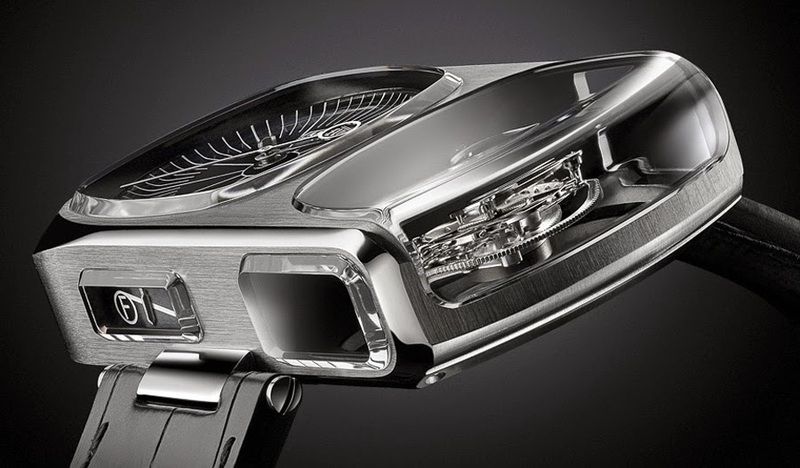 The energy required by the large diameter one-minute tourbillon is supplied by the dual main spring barrels. When fully wound, the Angelus A100 calibre provides 90 hours of optimal power. The interior of the tourbillon vitrine and the main dial have been enhanced by light-absorbing, matte black PVD finish. The brushed-finished hour and minute hands are filled with black Super-LumiNova that glows blue in the dark. Tiny holes drilled into the dial at 12, 3, 6 and 9 o’clock and filled with Super-LumiNova create bright white markers. Completing the indications on the side of the case is the linear power reserve featuring a rhodium-treated hand also treated with black Super-LumiNova. The U10 Tourbillon Lumière will be available in a limited edition of 25 pieces, which launches the Angelus Urban collection. Price to be announced. 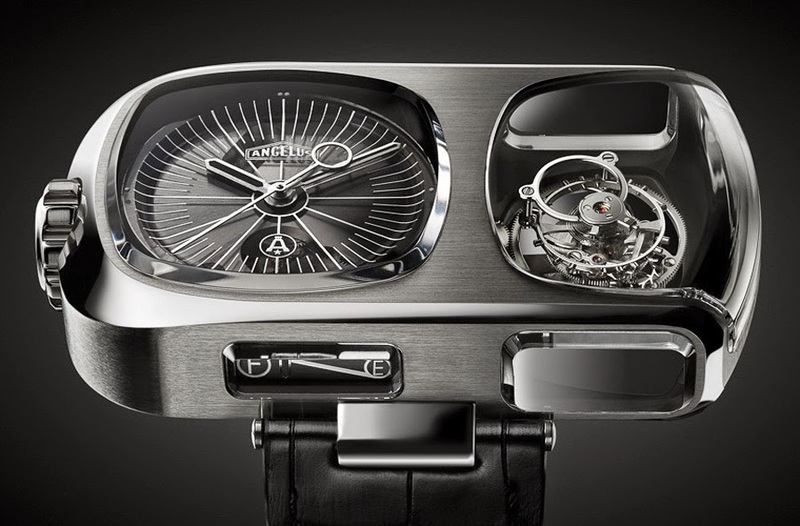 The watch is interesting but why reviving the Angelus brand to create a timepiece that has no links to its tradition? Same feelings here about the brand but the design is intriguing. 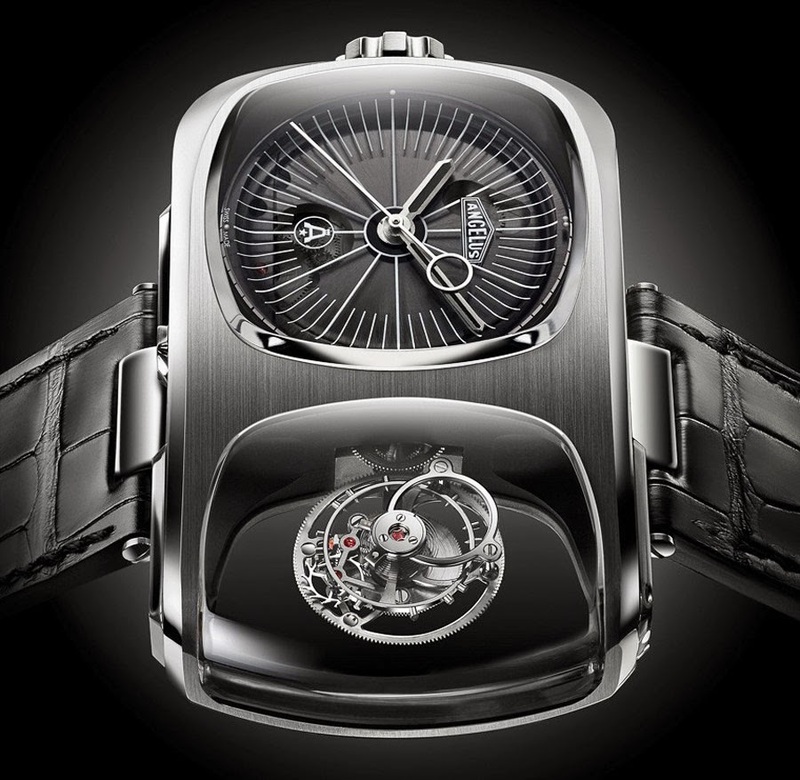 Basel 2015: Angelus U10 Tourbillon Lumiere. In 2011 Manufacture La Joux-Perret brought back to life the Angelus brand and started the development of a new generation of timepieces. Just few days before Baselworld 2015, the new Angelus’ manufacture, based in La Chaux-de-Fonds, is finally ready to launch the U10 Tourbillon Lumière, a pretty unconventional timepiece. The U10 Tourbillon Lumière will be available in a limited edition of 25 pieces, which launches the Angelus Urban collection. Price to be announced.